One of my most anticipated releases in recent years was put out in late May. I’m talking about Kabaka Pyramid’s debut album. He’s one of the strongest lyricists and performers of the younger generation of Jamaicans singers and deejays. On Kontraband Damian Marley is heavily involved being executive producer. But a host of other notable performers also lend their talents to the set – Chronixx, Akon, Pressure Busspipe, Stonebwoy, Protoje, Damian Marley and Nattali Rize give several songs new dimensions. Kontraband is hard-hitting and powerful roots reggae with strong influences from hip-hop. At times it’s reminiscent of Damian Marley’s and Nas’ collaborative effort Distant Relatives. Check the infectious title track with Damian Marley for example. This album certainly lives up to high expectations with Kabaka Pyramid spitting cultural messages over tough beats. It’s potent, explosive and highly addictive. It took eight long years for Queen Ifrica to put out her third album Climb, the follow-up to Montego Bay, which dropped in 2009 and included the moving single Daddy. It seems like the album has been eagerly awaited since the set immediately climbed to #1 on the Billboard Reggae Chart. And this is a set that will appeal to a broad spectrum of fans. It’s an eclectic album showcasing a number of moods and styles. Much of it is a crossover matter with romantic themes and affairs of the heart. Check the bouncy first single Trueversation with Damian Marley for example. Or That’s How It Is Sometime, complete with strings and xylophone, and the slick Good Man. But Queen Ifrica offers harder sounds as well. Lie Dem Ah Tell is fierce dancehall and Grabba is a slice of ferocious contemporary nyabinghi where the Queen spits lyrics over a percussion-driven rhythm. Best of the bunch – a thick bunch since it comes with a hefty 17 tracks – is however the gospel-infused I Can’t Breathe, which borrows from the traditional hymn Swing Low, Sweet Chariot, or the militant ska track Rebellion. I guess Queen Ifrica has collected lots of recorded material over these eight years, but Climb would have been even better if a few of the cuts would have shelved for later projects. A big voice. She has a big voice. I’m talking about soul singer Joss Stone. I haven’t heard much from her prior to listening to her new reggae-based album Water for Your Soul. This 14 track set is a result of a collaboration with Damian Marley who Joss Stone worked with on his and Nas’ collaborative effort Distant Relatives, a set that at times isn’t far from a few of the cuts on Water for Your Soul. The two were also part of all-star super-group SuperHeavy together with Mick Jagger, Dave Stewart and A.R. Rahman. Joss Stone is 28 years old. She has made music professionally for the past 12. This is her seventh studio album. That’s crazy impressive. Over the years she has tried and tested many genres. She started with R&B and has since moved effortlessly between soul, blues, funk and rock. Never stopping, always on the move. So a reggae album isn’t really that surprising. But quite a few will probably laugh by just hearing Joss Stone and reggae in the same sentence. But they will be proven wrong. Because this album has it fair share of memorable moments, but also a bunch of less memorable ones, for example the ridiculous ganja anthem Sensimilla. The album collects soulful, sensual and mostly lightweight reggae with a slices of funk, latin and hip-hop thrown in. 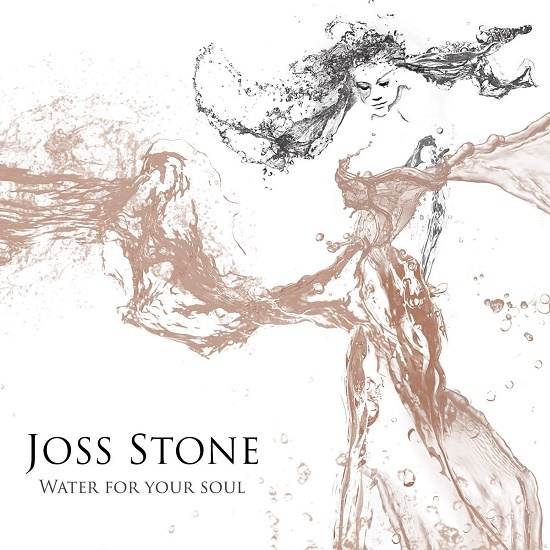 The arrangements are superb with elastic and bubbling rhythms underpinning Joss Stone’s powerful vocals. Joss Stone graces massive reggae cuts like Molly Town and Harry’s Symphony with confidence and swagger. The former borrowing from the massive Swing Easy riddim and on the latter she – together with Linton Kwesi Johnson – warns against bad boys. She also nods towards reggae singers Johnny Osbourne, Matthew McAnuff, Barrington Levy and a few others. Water for Your Soul might be bubble-gum reggae, but it sure tastes good. Successful producer and deejay Damian Marley drops new single. 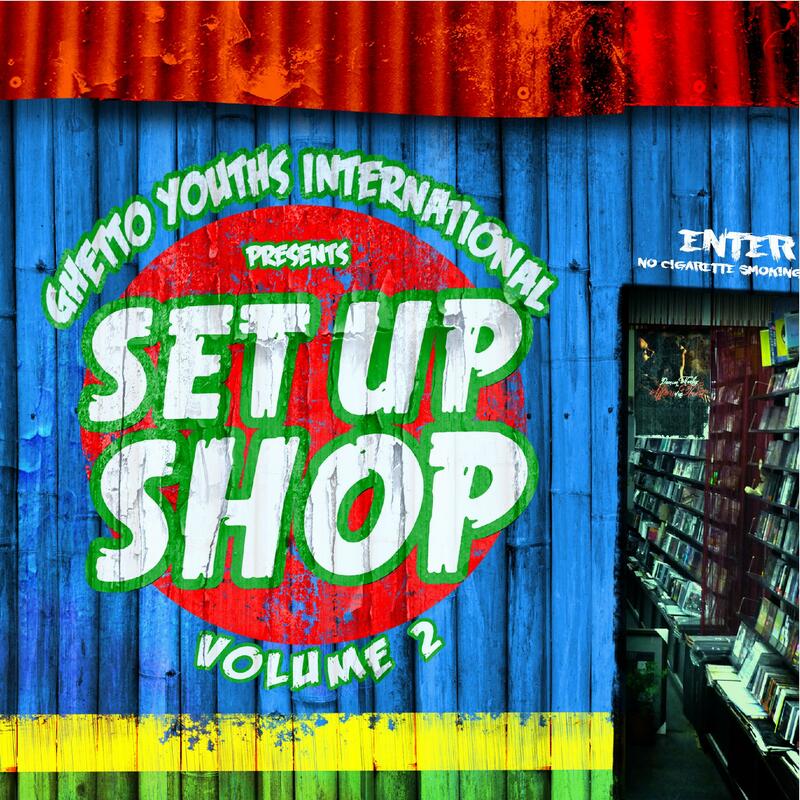 Hard Work is taken from the forthcoming compilation Set Up Shop Vol.2, set to be released later this year on the Marley-owned Ghetto Youths International label. Listen to Hard Work below. The U.S. reggae scene has never been really thriving, and most reggae coming from the States is usually pretty lightweight and often heavily inspired by rock and punk. It has changed a bit though, much thanks to the prospering VI reggae scene and bands and artists like Midnite, Pressure, Niyorah and Bambú Station. And the U.S. reggae scene is also much of a domestic scene and local acts tour North America like crazy. One of those acts is the immensely popular Soldiers of Jah Army (SOJA), an eight piece band that has been together for 17 years. Their fifth album Amid the Noise and Haste is as radio-friendly as their previous sets with influences from pop, rock, latin and hip-hop. And its title nails the sound, because this album certainly doesn’t run towards a red light and singer and fan favorite Jacob Hemphill barely raises his frail and nasal voice. It’s full of slow jams and laid-back grooves with a more buoyant cut here and a muscular guitar solo there. Amid the Noise and Haste is partly produced by Jamaican-born super producer Supa Dups, known as a founding member and owner of the Miami-based Black Chiney sound system. But he is also known for working with several reggae, dancehall and hip-hop heavyweights, and he has managed to win no less than three producer’s Grammys for his work with Drake, Bruno Mars and Eminem. 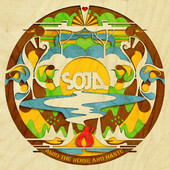 Several guest artists are featured on the album – Damian Marley, Collie Buddz, Michael Franti, J Boog, Anuhea, Nahko, Trevor Young, Alfred the MC, Bobby Lee and Mala Rodriguez. According to SOJA these performers help to demonstrate each song and either relate or convey messages of social resistance, environmental consciousness and personal reflection. They want the listener to connect with his or hers inner self and take control over one’s own destiny while listening to gently vibrating reggae music.